The Stuff is a unique leave-in hair conditioner, de-matter, de-tangler that is hypoallergenic as well as non-toxic. 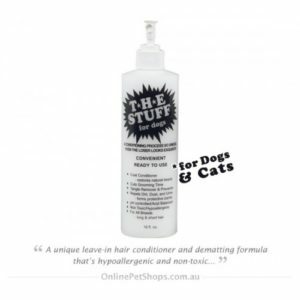 The Stuff conditions and protects a pet’s coat while removing and preventing tangles. Penetrates mats and tangles to save you time during comb out. Silicon formulation repels dirt, dust and urine so coats stay cleaner longer. 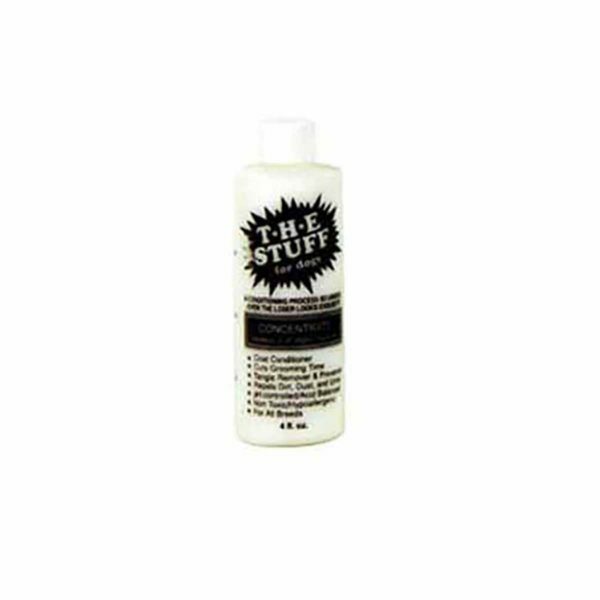 The Stuff is great to use on all coat types. 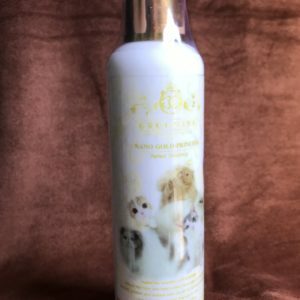 * For ALL breeds long & short hair.